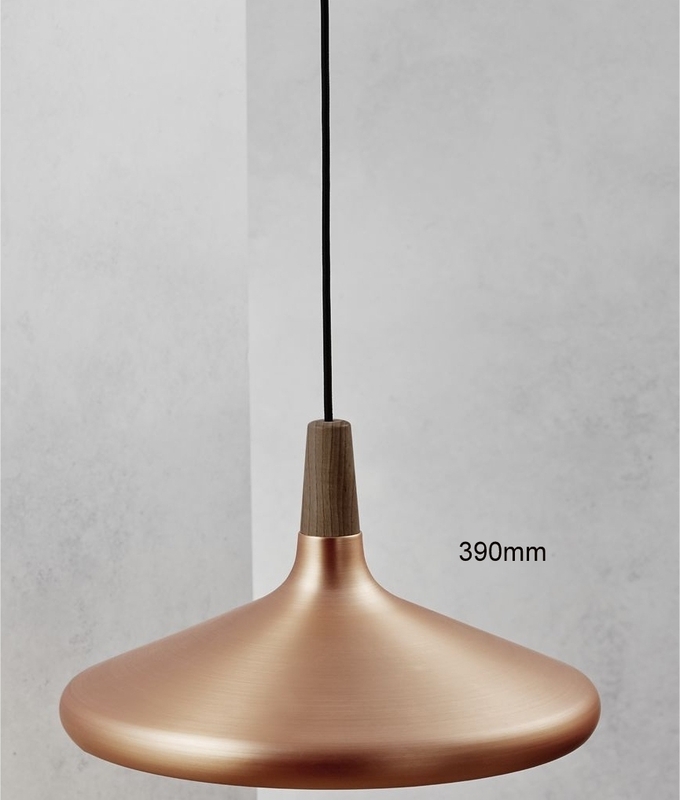 These pendants have been created by a Danish designer who is committed to creating lamps where beauty and functionality go hand in hand. 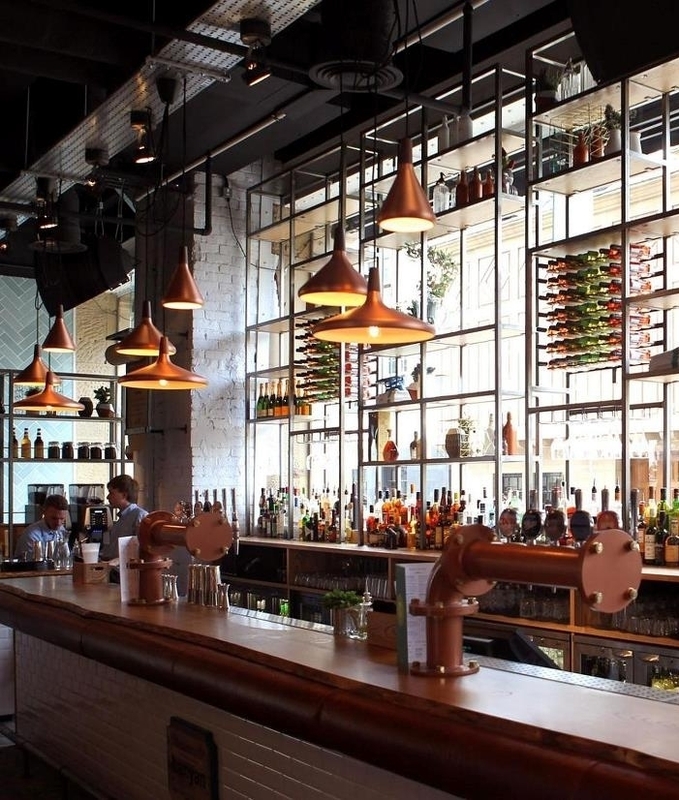 They believe that their lighting should be sold at a price which is easy to justify and design their lighting for everyone as they feel all individuals have a right to stylish lighting. 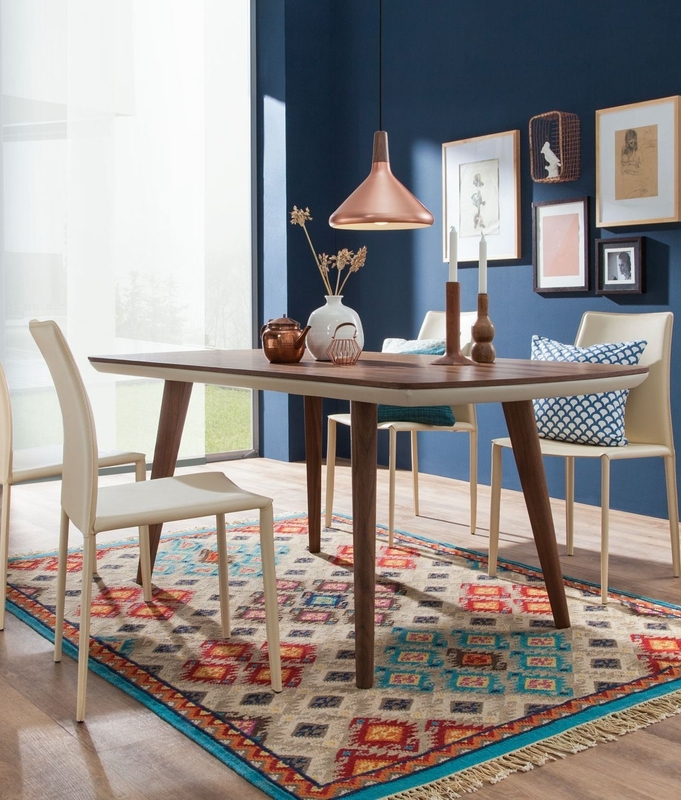 In brushed copper with oiled walnut wood detailing, with an off-white interior and a black fabric flex, these pendants are sublime in their design and look. Choose to use singularly or team with a brushed steel pendant and make your space truly unique. All fixtures are designed for E27 Edison screw lamps up to 60 watts. Energy saving and LED lamps can be used. Ceiling fixture black diameter 120mm x height 100mm. Cable flex is 3000mm which can be adjusted at time of installation. A opal white glass pendant (two sizes) and a brushed steel pendant (three sizes) are also available, see separate listings below. 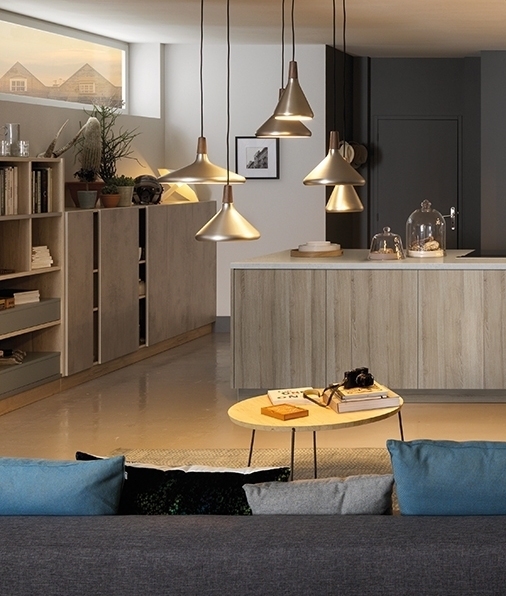 For an easy way of hanging 3 or 4 pendants in a row please click here to see our pendant bar which is available in two finishes, either white or brushed steel. 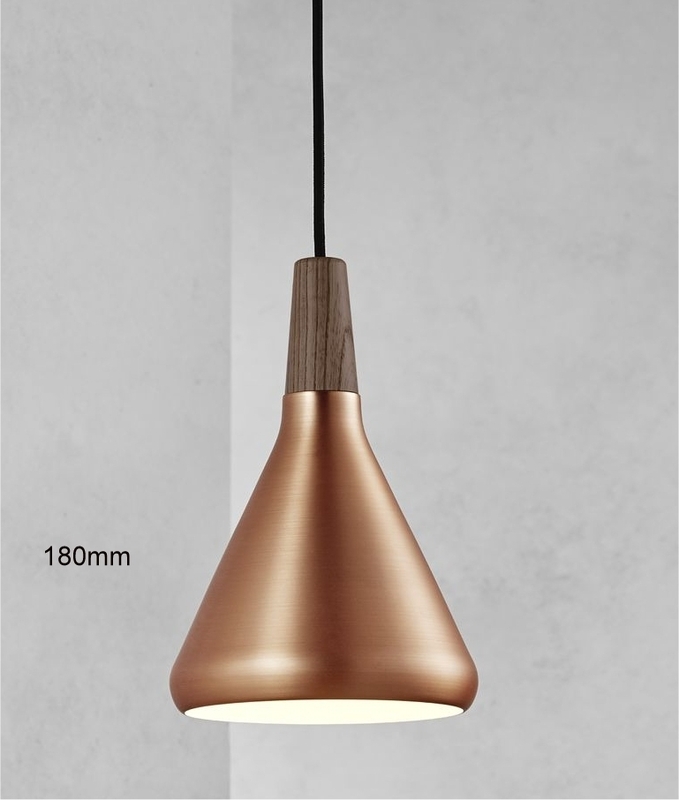 A brushed copper and a brushed steel wall light is also available to complement these pendants. 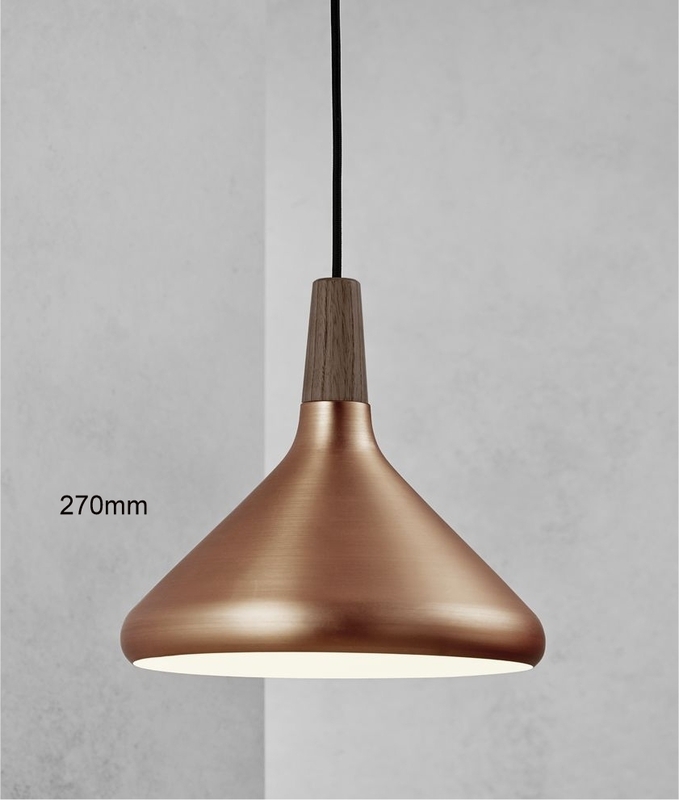 Can you put LED lamps in this pendant light? Is it still dimmable then? Yes, under spare lamps you will find our LED E27 bulb which are compatible. Unfortunately these are not dimmable. Can this come with a longer cable length? We need 3.5m. Unfortunately, This cant come with a longer flex, Its only supplied with 3000mm.